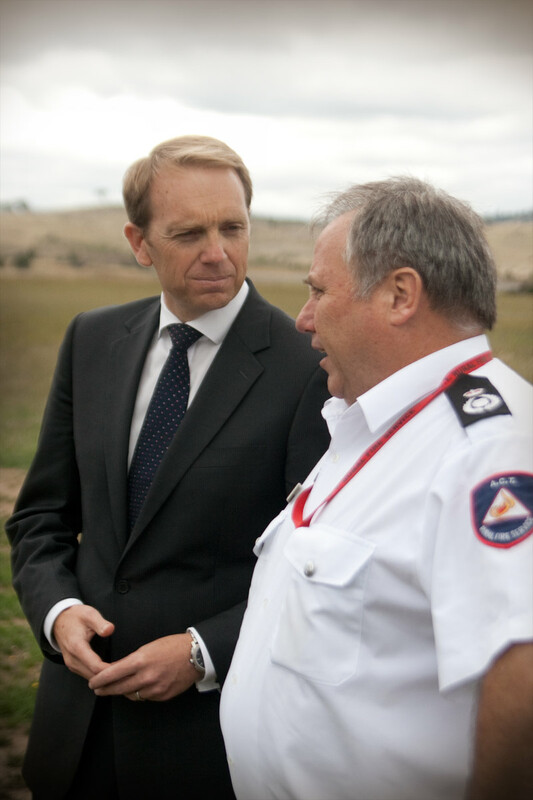 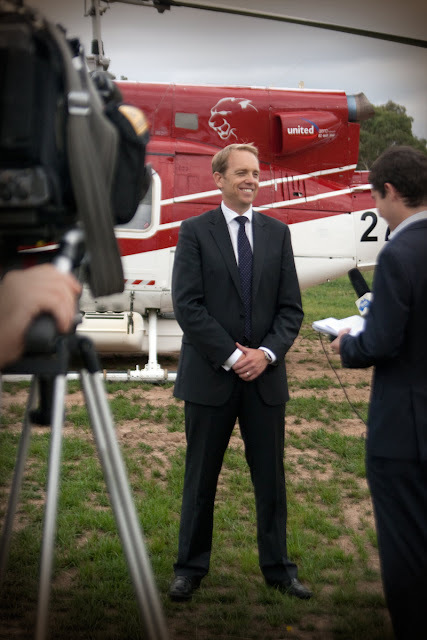 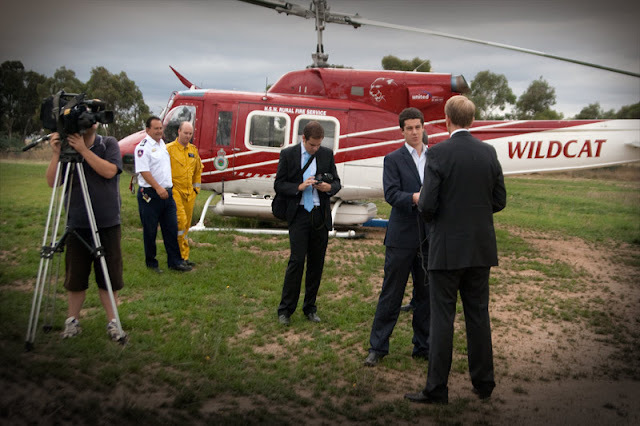 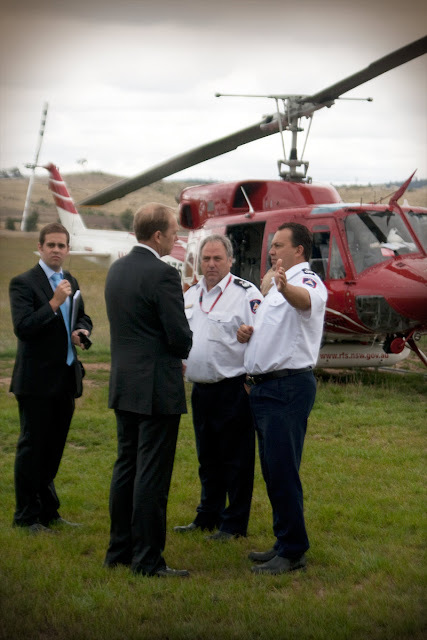 Today the Minister For Emergency Services Simon Corbell took to the skies in a contracted chopper. 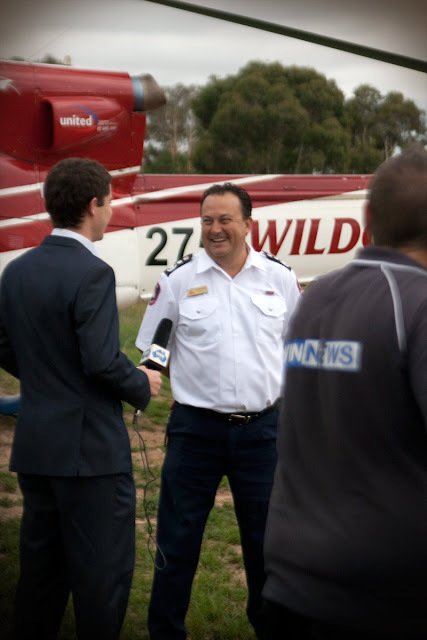 WIN television made an appearance and interviewed both the Minister and Chief Officer Andrew Stark. 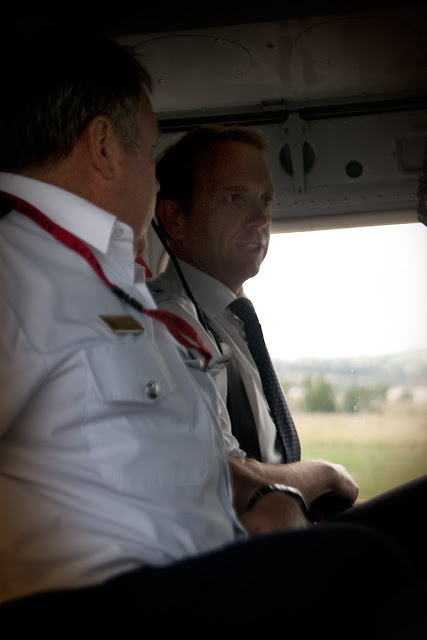 Minister Corbell and Deputy Chief Officer Michael Joyce in deep discussions. Chief Officer Andrew Stark being interviewed by WIN television. 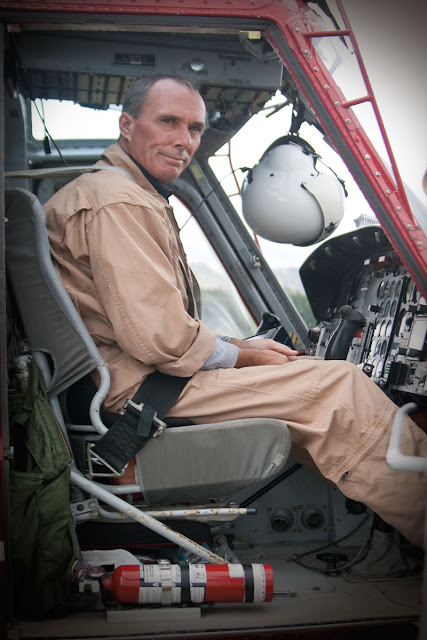 JJ our wonderful pilot from Canada.